Dr. Rajpal is board certified by the American Board of Neurological Surgery (ABNS). 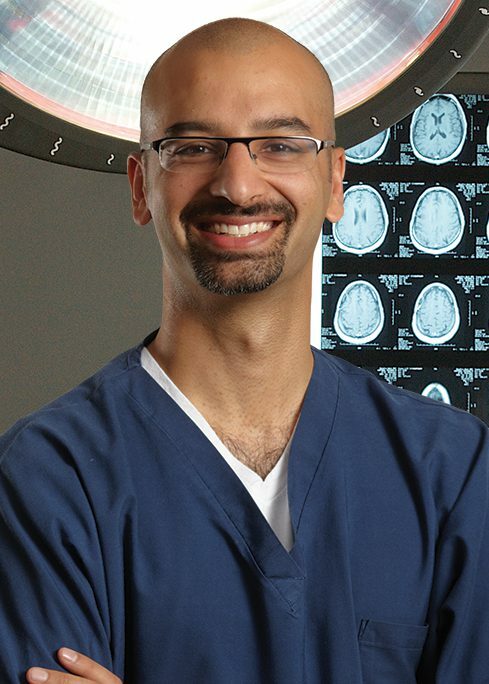 Dr. Rajpal’s areas of clinical interests include both spine and general neurosurgery. He is appointed to several hospital committees, dedicating his time to improving the delivery of high quality, cost-effective health care to the community. Dr. Rajpal also works on the advancement and development of new spinal technologies and teaches these cutting-edge surgical techniques to colleagues worldwide. While at the Cleveland Clinic, he gained experience in the latest techniques in spinal oncology, minimal access surgery, and complex spinal deformity. Youngest Neurosurgical resident to receive the much coveted Resident Academic Achievement Award, an award he went on to collect twice. For his research on spinal cord injury, Dr. Rajpal was also presented both the Congress of Neurological Surgeons Synthes Spine Fellowship Award (2006) and the American Association of Neurological Surgeons/Congress of Neurological Surgeons Section on Disorders of the Spine and Peripheral Nerves Mayfield Basic Science Award (2007). These national awards are conferred to a single Neurosurgical trainee per year. “Neurosurgical conditions, from the straightforward disc herniation to the complex brain tumor, can create neurologically devastating and high-anxiety situations for patients and their loved ones. When seeking care for neurosurgical conditions, patients want to be treated by competent physicians who offer the latest technological and surgical techniques, but they also deserve to be treated in a climate that fosters trust and joint decision-making. “My mission is to provide high-quality and personalized care for each of my patients. I define high-quality care as treating patients and their families with the respect and dignity that they deserve while using cutting-edge therapies to treat their neurosurgical conditions. I determine the treatment approach I will use, whether operative or non-operative, after thoughtful consideration of the patient as an individual. Even though two patients may have exactly the same diagnosis, they may require, or desire, completely different treatments—this type of personalized care is what sets physicians apart from one another. By providing information, advice, and answers to any questions or concerns patients may have, I help them navigate through the care process, from initial consultation to the end of treatment.